The firetube boiler is the flagship of Cleaver-Brooks. An integrated boiler, low NOx burner and Hawk Advanced control were designed and built with the latest innovations in technology for maximum efficiency and lowest emissions. Further reduce fuel usage with a stack economizer by recovering waste heat from the flue gases and using it to preheat boiler feedwater. EX system models are designed with extended heat transfer tubes that result in a higher efficiency, lower emissions and a 15% smaller footprint. The CBEX Elite model is the only boiler package to maintain 3% oxygen across the full operating range with 30 ppm NOx performance when using natural gas. 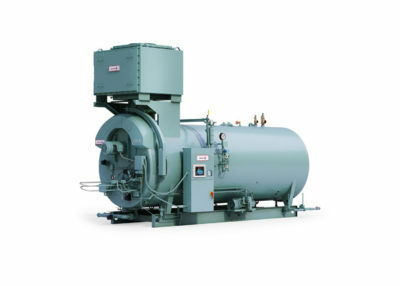 Read more about Cleaver-Brooks Firetube Steam Boilers.